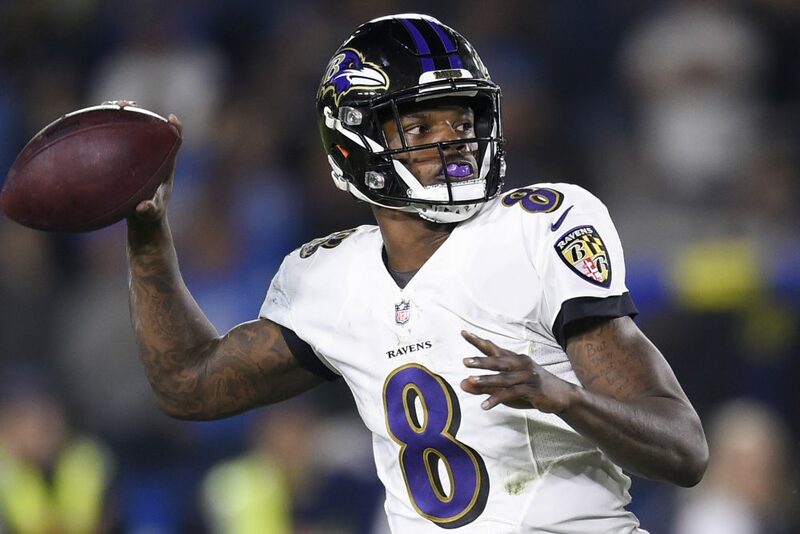 The Ravens have something old (their smash-mouth style), something new (rookie quarterback Lamar Jackson) and leave the opponent black and blue. Since Jackson took over as the starter six games ago, the Ravens lead the league with 218.5 rushing yards a game. The 1,311 yards are 303 more than the next-best team, Seattle. They’ve rushed at least 40 times in five of the six games, with a high of 53 against Cincinnati. In Weeks 11-15, the Ravens rushed for at least 190 yards each game, becoming the first team since the 1976 Steelers to hit the number in five straight games. Jackson has rushed for 466 as a starter and formed a dynamic duo with undrafted rookie running back Gus Edwards, who has 578 yards since Week 11, fourth in the league. He has three 100-yard games since Nov. 18 and only one negative run in 125 total carries. The Browns counter with a run defense that ranks 24th overall (124.5 yards) and 18th per attempt (4.5). It ranks sixth with 60 negative plays. The Browns have been much improved over the last three weeks, holding Carolina’s Christian McCaffrey to 63 yards, Denver’s Phillip Lindsay to 24 and Cincinnati’s Joe Mixon to 68. Despite predraft opinions to the contrary, Jackson is also dangerous throwing the ball. He’ll miss some passes badly and give the defense the chance for interceptions, but he’s also made several big-time throws at critical times, including a 68-yard touchdown to rookie tight end Mark Andrews last week in a win over the Chargers. He’s completed 58.2 percent for 1,022 yards with six touchdowns, three interceptions, 14 sacks and an 84.9 rating. “There are a lot of things I still should have hit but, yeah, I’m a lot more comfortable now than I was before,” Jackson said. Jackson isn’t the most accurate passer but he has a big arm, which should keep the Browns from creeping too far toward the line of scrimmage. The Ravens’ third-ranked run defense will make it difficult, but rookie Nick Chubb should be able to get the 28 rushing yards necessary to reach 1,000. He’s already set franchise rookie records with 972 yards and four 100-yard games, which are even more impressive given he didn’t take over the starting role until Week 7 after Carlos Hyde was traded. Since then, he’s second in the NFL with 799 rushing yards, trailing only Dallas’ Ezekiel Elliott with 848. The slugfest with the Ravens could feature a lot of running on both sides, even though Baltimore’s defense ranks third in rushing yards allowed per game (85.1) and fourth per attempt (3.8). The Browns had some success in their 12-9 overtime win over the Ravens in October, rushing 28 times for 112 yards. Chubb rushed three times for 2 yards but Hyde had 63 on 17 carries. M&T Bank Stadium will be jumping by kickoff at 4:25 p.m. It’s always loud and filled with purple but will be at another level with the playoffs on the line for the Ravens. The teams are relatively evenly matched, so the outcome will likely come down to the details. For the Browns, that could mean a quick start and avoiding costly mistakes on special teams. The Ravens’ run-dominated plan shortens games and subtracts possessions, so the Browns can’t afford to fall behind. That’s especially true in the kicking game. The Browns have been outplayed on special teams all year, and the breakdowns resurfaced last week in the win over the Bengals. Cleveland had a punt blocked, gave up a first down on a fake punt and kicker Greg Joseph missed an extra point. The Ravens traditionally have one of the best special teams, led by coordinator Jerry Rosburg, kicker Justin Tucker and punter Sam Koch. I don’t see the Ravens missing the playoffs for the second straight year by losing another finale at home. Ravens 23, Browns 20.